Most often, when someone talks about a massage, it is considered something of a luxurious activity to be indulged in and be pampered. However, a professional massage session can bring many health benefits that include the reduction of stress and the boosting of the immune system. 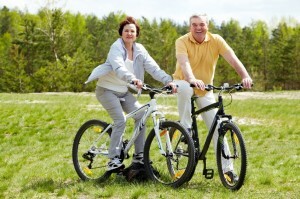 Staying active is one of the key features of a healthy lifestyle, and this begins to matter more and more as you age. You may consider walking, golf, jogging or swimming to help keep you active. Regular massage therapy to is a great way to be active and ensure better circulation and rejuvenation of your cells. Blood circulation reduces with age. According to the Mayo Clinic, this is the prime benefit of massage, as it increases blood circulation. Reduced circulation can be a major problem to many seniors, especially if they suffer from diabetes. Reduced circulation can cause problems with your lower limbs. Regular massage can prevent this complication. Furthermore, improved circulation can help you get over illnesses faster and boost your energy levels. Joint pain and stiffness are also two very common problems you may face with the aging process. This may be extremely common after some vigorous exercise. Massaging the tender muscles, tendons and joints in a rolling, tapping and kneading manner can reduce the pain. If you suffer from arthritis, you may be able to reduce inflammation-related pain and promote the restoration of joint motion with massage. This improves mobility and flexibility and enables you to carry out your daily tasks with ease, become independent and live a high-quality life. Sleep is very important to seniors. However, stress, pain or any other problems both mental and physical may keep you from getting the proper number of hours of sleep. Lack of sleep can significantly reduce the quality of your life. The inability to sleep decreases energy and mental alertness. Regular massage improves your quality of sleep and reduces breathing disorders. Massage also provides you comfort and relaxation which help control blood pressure and heart rate. The tender, human touch by the masseuse helps you recover from a myriad of cognitive problems. This type of massage is referred to as Comfort Touch and is safe and appropriate for seniors and chronologically ill patients. If you are considering regular massages to make the most of its health benefits, you should make certain that these massages are performed by trained massage therapists. Make sure to only enlist the services of a reputed, therapeutic spa or a wellness center, so that you can derive the best benefits. If you have any physical problems, consider speaking to your doctor before having a message. Massage is not only a luxury pastime; it is also extremely beneficial to your health. This is why many active adult communities feature their very own on-site spas with massage facilities. Communities such as Encanterra Country Club by Shea Homes in San Tan Valley, AZ and Soleil Laurel Canyon in Canton, GA are some of these communities. 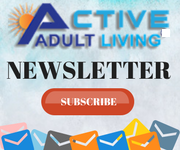 Visit our website ActiveAdultLiving.com to find more active adult communities with spa and massage facilities.